Lapua has manufactured Naturalis® bullets since 2002 and now presents the 3rd generation of the lead-free hunting bullet. 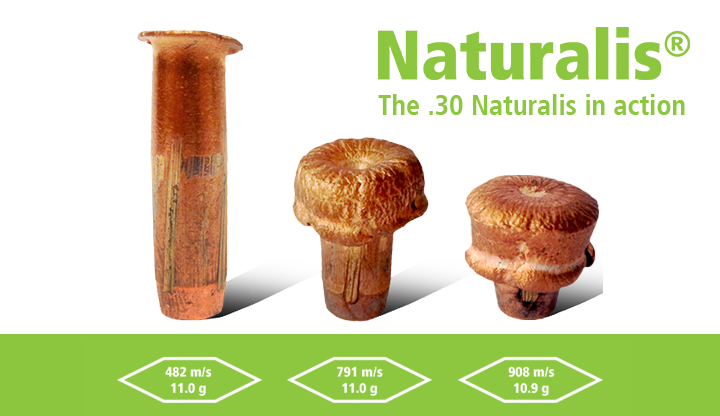 The Naturalis® hunting bullets and cartridges can be used in hunting areas where lead core bullets are prohibited. The new Naturalis® design uses state of the art technology to produce consistent, controlled expansion. The polymer valve design uses hydraulic force to create the optimum mushrooming effect at the widest velocity range on the market. 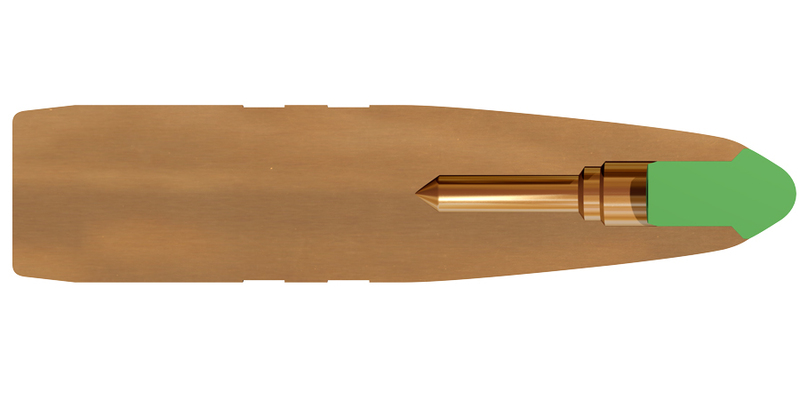 The bullet is designed and manufactured by using pure copper. The material, design and controlled expansion ensures a solid and nearly unbreakable construction. Superb weight retention of the bullet! The mushrooming of the bullet starts immediately on impact. The expansion process is started by the valve at the tip of the bullet, leading it to expand symmetrically and without fragmentation. This gives a maximal energy transfer to the hunted game, reduces the risk of wounding or lengthened suffering, and minimizes the meat loss. 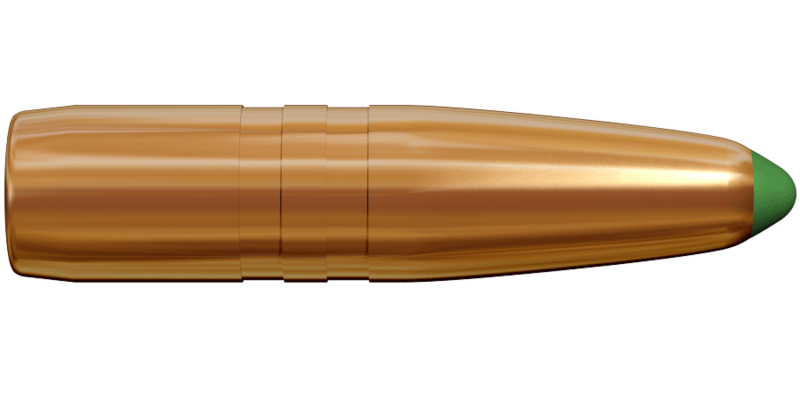 This premium pure copper hunting bullet performs consistently, retaining a full 100% of its weight after expansion almost every time. It does not leave anything in your valuable game meat, so with Naturalis, you get a clean shot. This high-tech bullet design gives a maximal shock effect and it works perfectly within terminal velocities of 490 m/s – 1000 m/s. The Naturalis is extremely effective by giving a clean shot and minimizes meat loss. 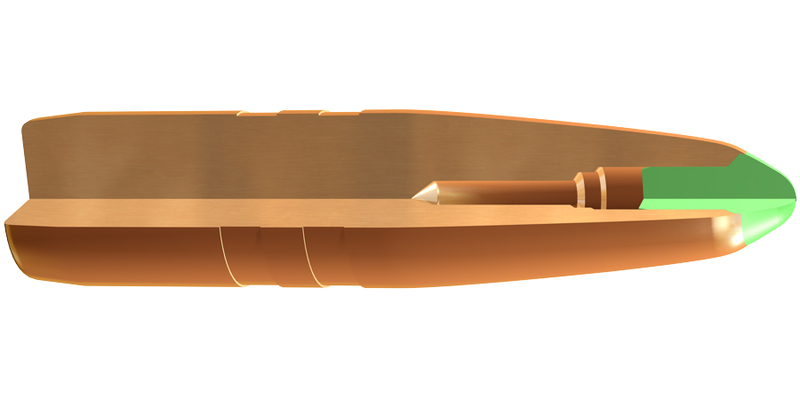 The boat tail design eases reloading, and together with the streamlined ogive provides improved downrange ballistics. The Lapua Naturalis bullet selection has suitable options for game of all sizes, from birds such as grouse to small / mid-size game like fox and deer, to big and dangerous game such as moose, elk, red deer, wild boar and bear.